She’s a remarkable actress and a total fashionista, the marvelous Riele Downs is an absolute QUEEN! Riele Downs is a fan-favorite actress and we can totally see why. Her outstanding talent is incomparable and she is such a fabulous and terrific, young lady. We always enjoy watching her on the highly-acclaimed, top-ranked, Nickelodeon show, Henry Danger. Riele Downs’ gift for acting is like no other and she is someone that we always look forward to seeing on our TV screens. Aside from working on the live-action Henry Danger show, Riele has also been keeping busy working on the much-anticipated, animated version of the show that is bound to be everyone’s new favorite series to watch. The animated Henry Danger show will definitely leave us at the edge of our seats as we join the Henry Danger squad on all of their adrenaline-filled and action-packed adventures. Riele Downs also showcased her exceptional talent in the brand new Nickelodeon film, Tiny Christmas that is perfect for the holiday season. The wonderful and light-hearted movie will definitely be a film you’ll want to watch over and over again and Riele Downs definitely mesmerized us all with her phenomenal, acting skills in the movie. Aside from being a brilliant actress, something that fans may not know about Riele Downs is that she also happens to be a fashion designer. She not only rocks some of the greatest outfits, but she creates them too! Seriously, is there anything that Riele Downs can’t do?! We absolutely love Riele Downs and we’re always so proud and happy for her and all of her well-deserved successes. 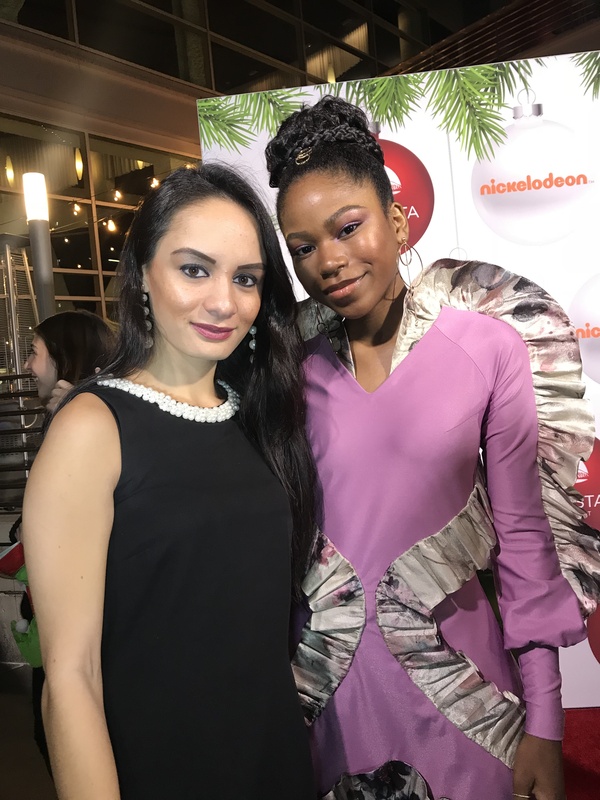 I, Alexisjoyvipaccess had a fantastic time covering the premiere of Nickelodeon’s Tiny Christmas and had an awesome time catching up with and interviewing the effervescent Riele Downs again at the event. Riele Downs dished exclusively to Alexisjoyvipaccess all about what it was like for her working on Tiny Christmas, what is a moment from working on set of the movie that sticks out to her the most, and so much more only in our VIPAccessEXCLUSIVE updated interview. Riele Downs even revealed where her first stop would be if she could swap lives for a day with Santa – hear what she had to say in our VIPAccessEXCLUSIVE updated interview below. Thanks for another fun interview, Riele! Check out my updated VIPAccessEXCLUSIVE interview with the gorgeous Riele Downs at the premiere of Nickelodeon’s Tiny Christmas below! Previous VIPAccessEXCLUSIVE: Gus Kamp Interview With Alexisjoyvipaccess At The John Kerwin Kids’ Show!